Inspired by the ingredients of Irish coffee, my husband and I married whiskey and java in this recipe for an outrageously delicious marinade. The coffee accents the earthiness of the beef, which stands in contrast to the spirited brightness of the whiskey. 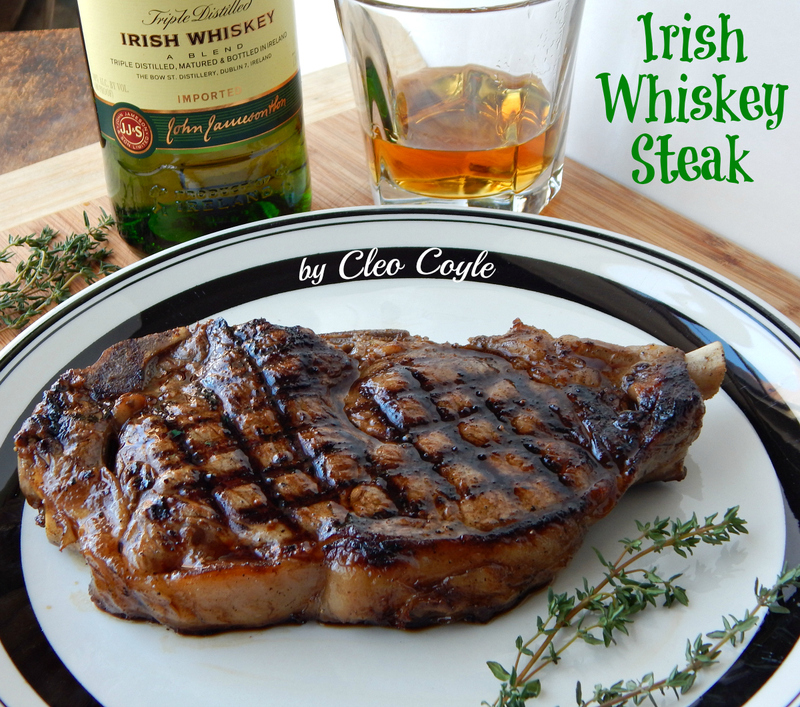 The combination creates the kind of complexity that gives beautiful flavor, a finish so good you won’t need steak sauce, just a thick slice of bread to sop up every bit of those sizzling steak juices on your plate. 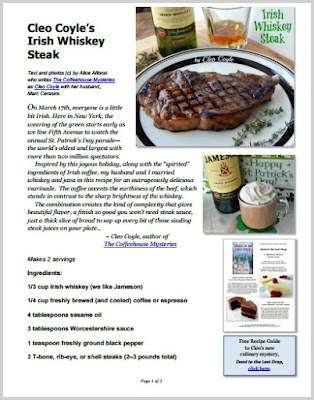 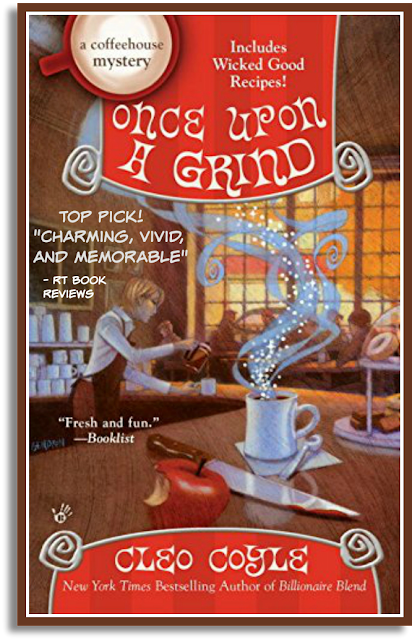 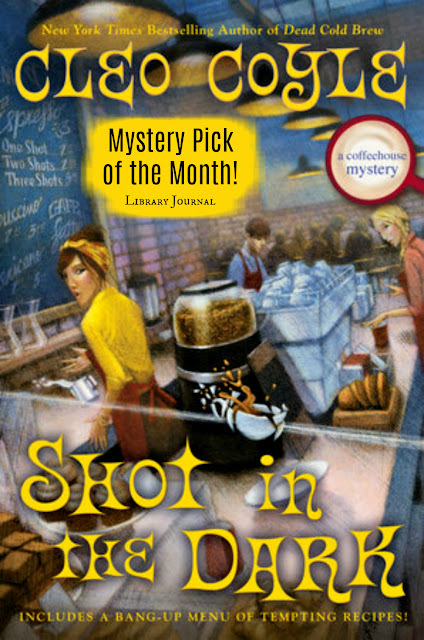 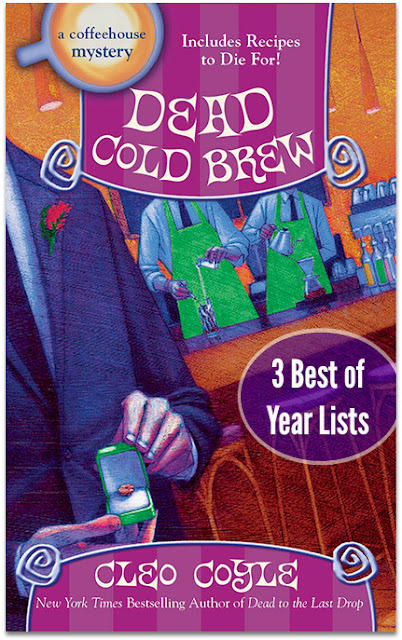 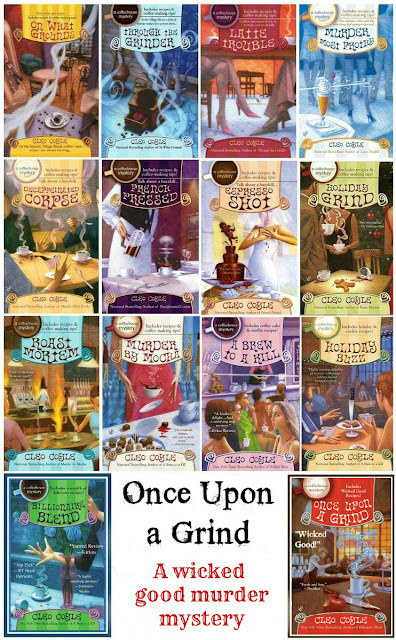 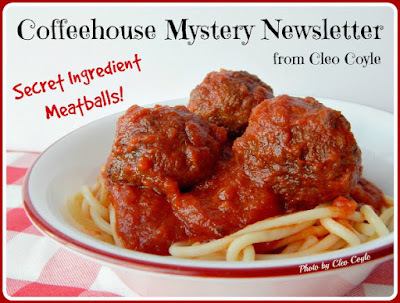 Which is why today’s recipe is adapted from one my husband and I published in the recipe section of our 9th Coffeehouse Mystery Roast Mortem, a story set around the time of St. Patrick’s Day—and for good reason. 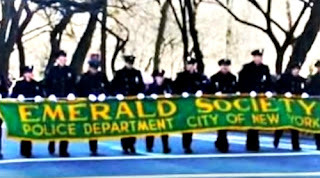 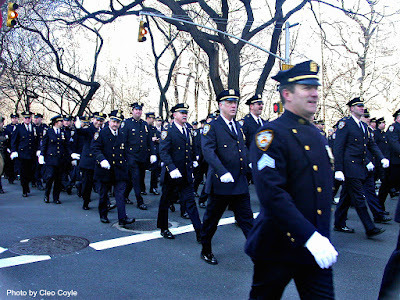 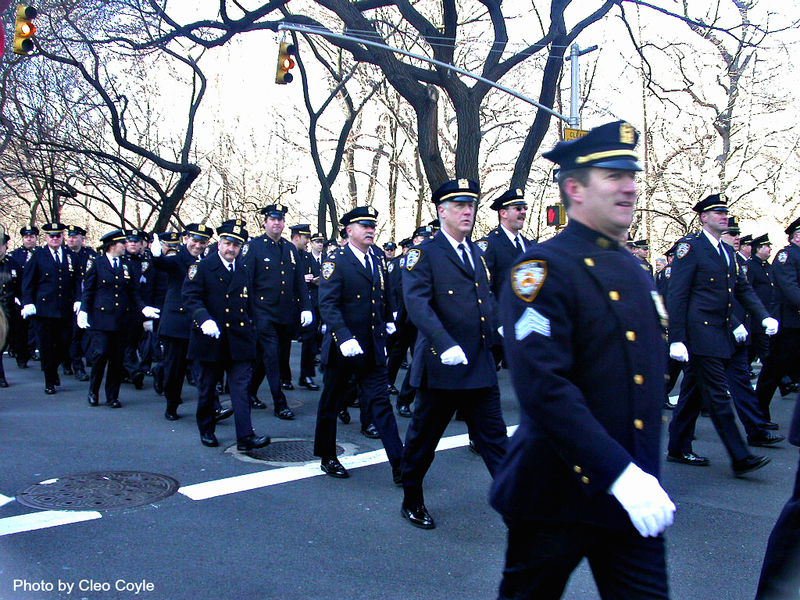 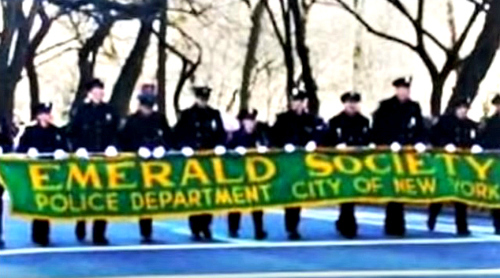 The mystery pays tribute to New York's firefighters, the same ones who now march in that annual parade carrying 343 flags, in memory of the 343 souls their department lost in the service of saving others in New York on September 11, 2001. 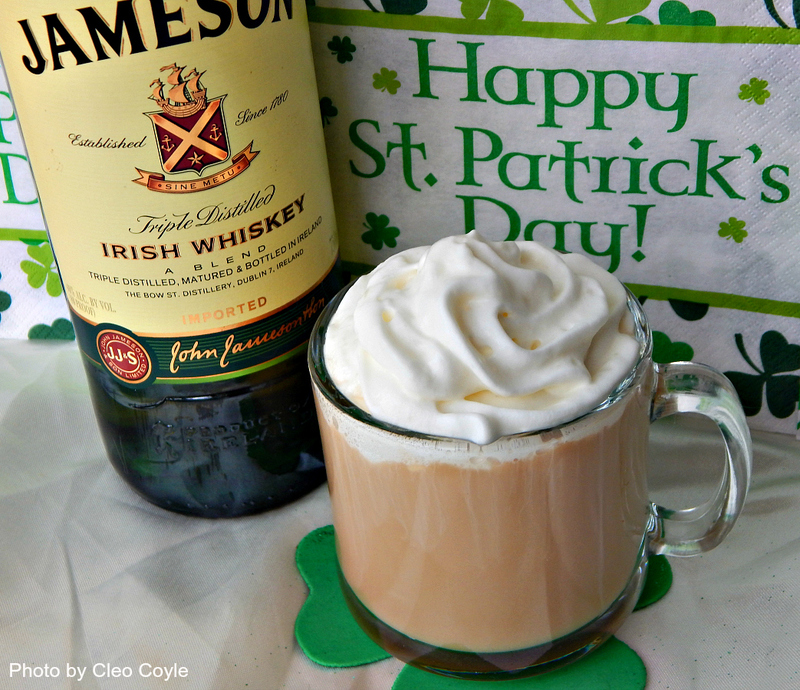 In honor of that brave Irish spirit, we give you a recipe with spirit, a wonderful dish for St. Patrick’s Day…or any day! (1) Whisk together the whiskey, coffee, oil, Worcestershire sauce, and pepper and pour into a shallow dish or pan that is large enough to hold 2 steaks flat (single layer, no overlap­ping). (2) Cover the dish, pan or container with plastic wrap, and marinated the meat for 1 hour in the refrigerator, then flip and marinate for a second hour. 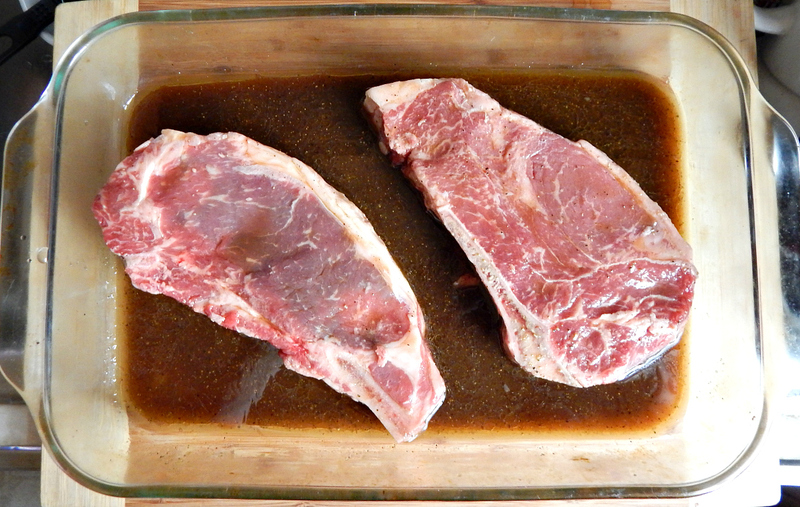 During the last 20 minutes, remove the steak from the refrigerator and allow the meat to reach room temperature. 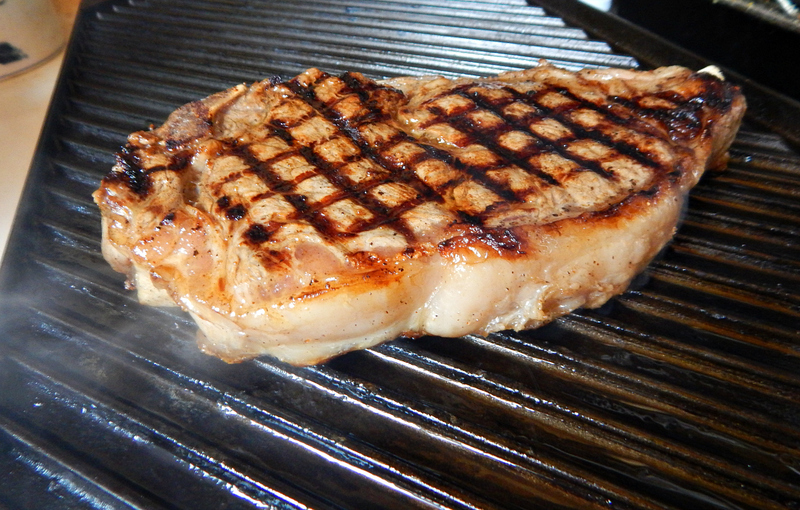 (3) Sauté the steaks over medium-high heat in a heavy or cast-iron skillet or on a stovetop grill pan (that's what you see in my photos). 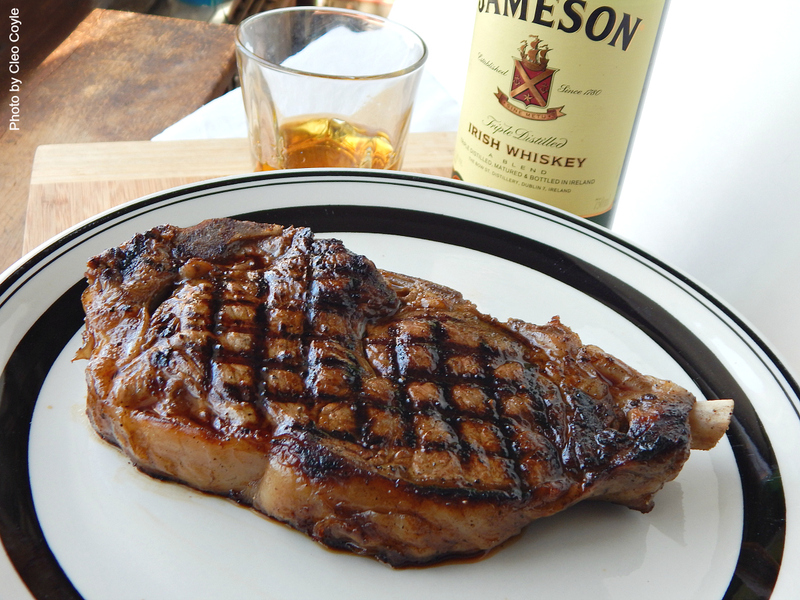 Cook 5 minutes per side for medium-rare, or 7–8 minutes per side for medium-well. You can also broil or grill them on an outdoor gas or charcoal grill. 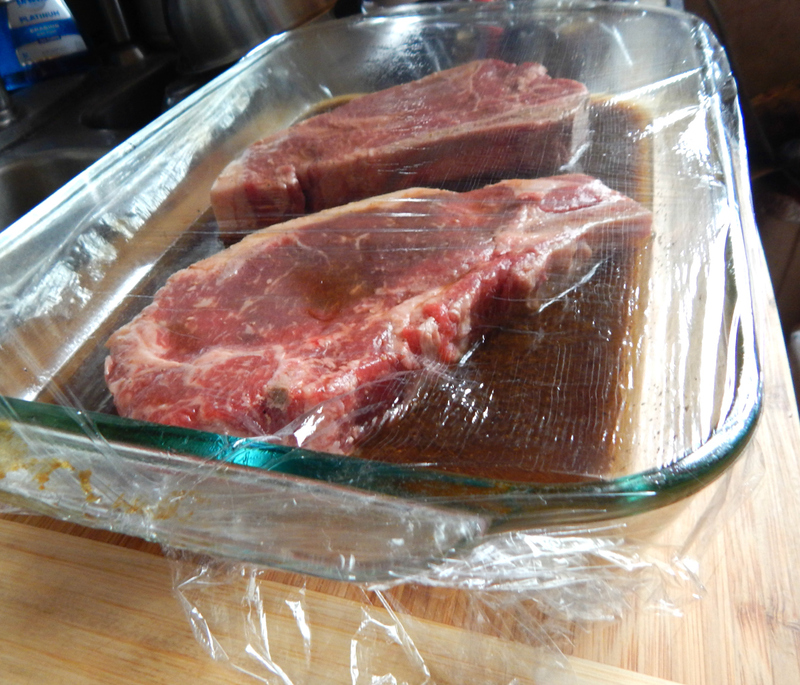 When your steak is on the thick side, be sure to "roll" it on its sides (as shown above) at the end of the cooking process to get a nice browning on those fatty white edges. (4) Be sure you allow the steak to rest at least ten minutes before slicing so the juices are able to re-collect. 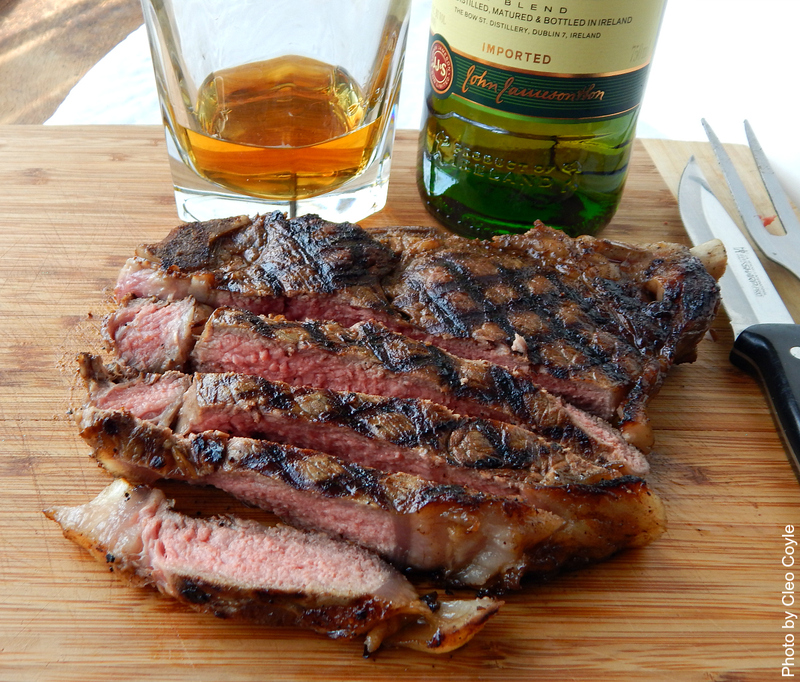 If sliced too soon, those important juices may run out and your steak will taste dry instead of moist and juicy—the best way to eat with joy! Eat and Drink with joy!